Dr. Freburg-Hoffmeister, a dentist, traveled to Honduras earlier this year to perform surgery and other medical procedures on children in the area. Danielle L. Freburg-Hoffmeister ‘08, D.D.S., M.D., traveled to San Pedro Sula, Honduras, in February to participate in Operation Smile, an international medical charity. While there, Freburg-Hoffmeister and medical professionals from the University of Florida College of Dentistry performed surgery and other medical procedures on children in the area who were born with clef palate, lip palate, and other facial deformities. Freburg-Hoffmeister is a Rural Health Opportunities Program (RHOP) graduate of Wayne State. The day after she arrived in Honduras, Freburg-Hoffmeister and members of her team screened 200 potential patients for medical work. Of those, 100 were selected for operations. The services were performed without cost to the patients in the program. 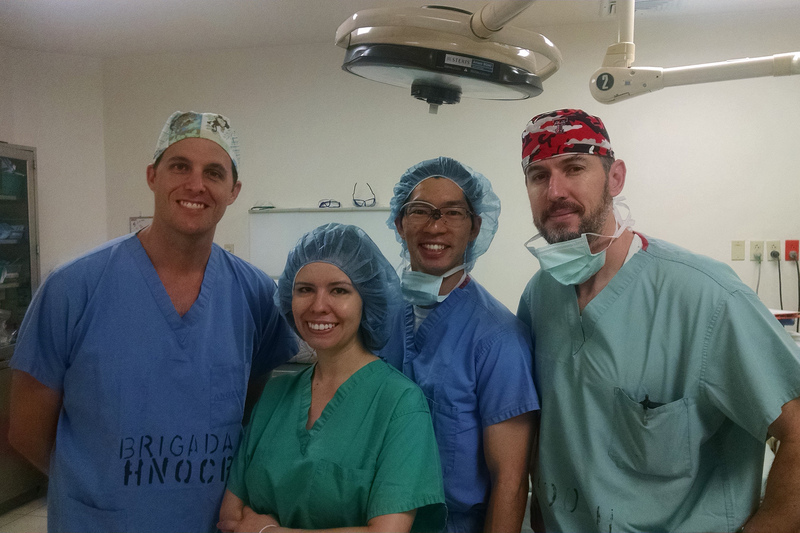 Freburg-Hoffmeister worked with another senior oral surgery resident and two senior-year plastic surgery residents from the University of Florida. While in Honduras, the group was accompanied by armed guards for security. Freburg-Hoffmeister stayed at a private residence while participating in the mission. Freburg-Hoffmeister graduated from Kearney High School in 2004 and is the daughter of Nancy Freburg and Andrew Hoffmeister of Kearney. After graduating from WSC with a degree in life science (health sciences) in 2008, she went on to the University of Nebraska College of Dentistry to earn her doctorate in 2011. She was then admitted to the University of Florida, where she studied in the Oral and Maxillofacial Surgery Department and received her M.D. in 2015. Freburg-Hoffmeister completed her senior year medical school residency in June at the University of Florida and hopes to return to Nebraska.